Curricular Practical Training is the off campus work authorization provided to international students which has to be curricular related directly affecting the studies of students. It is a chance to gain the work experience during the academics. It permits the students to apply their classroom learning into the real working world and gain plenty of knowledge sharpening as well developing their skills. It is work permission for the international students who want to have some work experience while studying. The CPT internship opportunities are available only till student is pursuing graduation. CPT employment is defined as alternative work/study, internship, cooperative education, or any other type of required internship or practicum that is offered by sponsoring employers through cooperative agreements with the school. Having the immediate work experience after the graduation adds to an immense value and aids in getting job faster. The intention is to provide international students with abundant CPT internship opportunities to help them have the working idea with the end of their graduation along with their graduate degree. There is no specific tight upper boundary on the limit of CPT internship opportunities but at a time only one can be undertaken. In the training period students can learn about the latest software and technologies which gives them unique hands on experience with the tools whose knowledge they can use after the graduation. CPT program is limited to students where they can choose to work both as part of full time depending on the department’s requirement. During the fall and the spring the candidate are allowed to work as part time but full time employment during the semester is possible only when the work is complimenting the subjects. The students are paid for their internships if they select their program in such company. The benefit of CPT is available to both the domestic and the international student. The CPT internship opportunities for international students are available only after the student completes one year of F1 status and fulfills all the requirements related to documents. The other necessity to obtain the CPT is students must work with ISSC submitting the related work documents to them. Before starting the internships for graduate students should have the approval granted from the employer and the university. For those students who take up the Curricular Practical Training (CPT) internship in USA can give up on one of the credential subjects and students who do not take CPT need to compulsory take the creditable subject which can substitute the internship program. International Student Office must authorize the eligible student for CPT. Once the CPT authorization is received only then the student can work for the specified employer and for the specific authorized dates .CPT authorization will also specify part-time or the full-time CPT employment. Each university or college has their own rules define while undertaking the various internship opportunities. While the student has taken up one of the opportunity, it is unprofessional and inconsiderate to drop it in the middle for the better opportunity knocking the door. Most of the employers have constant communication with each other and such degrading actions can spoil the reputation of the student. For one time select one program and avoid searching for the other training programs. Once selected in one do not give more interviews. If multiple selections have happened then inform the other employers about your disapproval for the program. Renege the internship from the middle or backing out at any time can cancel the CPT of the student. Students who have sanctioned the academic rules and have violated rules are not eligible for undertaking internship. To be eligible for the internship the student should have remarkable and outstanding academic performance. Not following the international rules can lead to damage of the academics jeopardizing the status. Whatever step an international student should take must be in cooperation with ISSC. The internship can be within the university area or can be out of state, choice is individual. The limitation with the CPT is that once the student has utilized it for one complete year then the same student is not eligible to appear for the Optional Practical Training. If the CPT work period is not used then OPT is available. These explicit imposed restrictions on CPT are inconvenient and troublesome for international students who are seeking work instantly, or whose degree program does not require any type of practicum or internship. The university design CPT Work Study programs and courses to ensure that students meet all of these requirements to begin working upon arrival. Yet there are few universities in USA whose programs allow students on F1 visa to begin work straight away irrespective of work is in their field of study or not. These programs can be extremely helpful for students who are struggling financially. As mentioned above many CPT internship program provides the student with the stipend and for various courses the internship needs to be started as early as possible. This makes the international student earn in dollars from the start of their graduation. Following certain tax rules, the student has right to use the money according to their own wish. 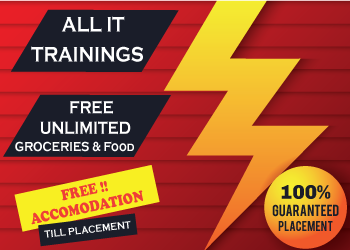 At times, the universities design certain courses which compel the student to take up the internship and start earning along with learning. 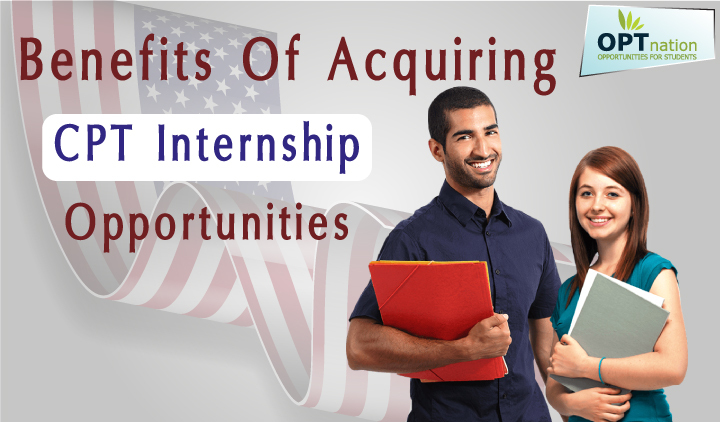 Having the US work experience is of immense value in various prospects as it improves English, cultivates business etiquettes and helps in gaining the work field experience. With the high market competition, holding the internship program certificates makes a student stand out from its peers. The student is granted the permission for the CPT when it becomes the academic requirement. The student can work for CPT training as long it is valid. CPT may be authorized for students who enroll in a course that requires employment to earn a grade, or a course where students design their own research project based on the employment. Both the course and the employment should be concurrent with each other. There is a long procedure which has to be followed before the student can start working as CPT. The respected application form has to file with the sign of the related department. After the form filing is done, submit it to the respected university which will verify and send the updated I-20 form. Most of CPT internship opportunities are restricted by the concerns of the F1 status visa. For any kind of employment on the international status or for finding training jobs for CPT students, the candidate is advised to work closely International Student office. The rules may show the minor variation for the different levels of the education.